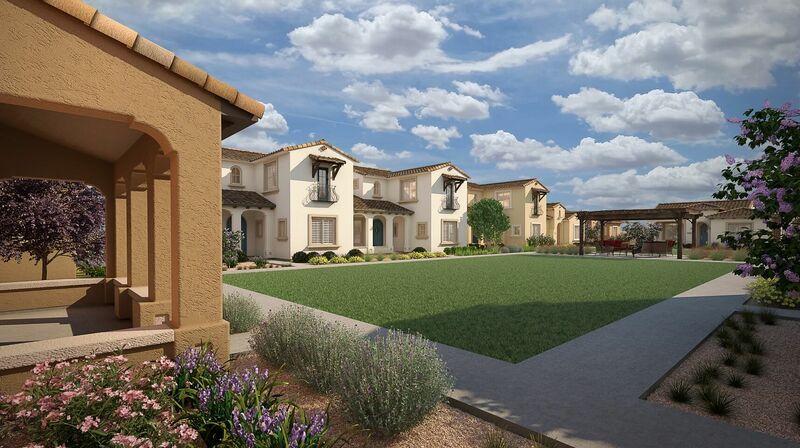 Luna Azul in Phoenix is the country’s first planned community designed for adults with special needs. 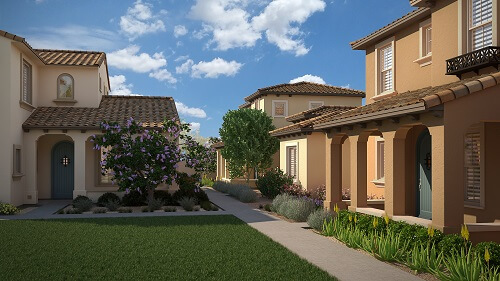 Check out Luna Azul, a new home community designed for adults with disabilities. When Mark Roth’s daughter Emma turned 13, he started thinking ahead to what her adult life would look like. Unlike other families who prepare for college and a career path, Roth was trying to envision a future in which Emma’s special needs could be addressed yet allow her to live independently. After looking at group homes, a farm and apartments that might work as a future home for their daughter, Roth decided to think about what he would build if he had unlimited money. The result is Luna Azul, a 30-home community in North Phoenix, which will eventually be Emma’s home. Luna Azul is the first for-sale development in the country designed for adults with disabilities. The community, which is open to anyone, includes security and 24-hour staff, who will plan inclusive neighborhood functions. Desai hopes that Luna Azul will become a model community that can be replicated nationwide, particularly because of the ability of families to build equity in their homes. “It would be great to have a development for parents of young children with special needs so that parents can share resources and support each other, while children can have a social life with others with similar needs,” Desai says. 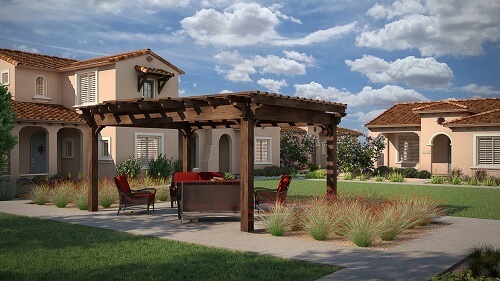 At Luna Azul, about half the homes already have reservations, and residents anticipate moving in the summer of 2019. 1. Safety. Unlike institutional living, the adults at Luna Azul are free to come and go on their own schedule. 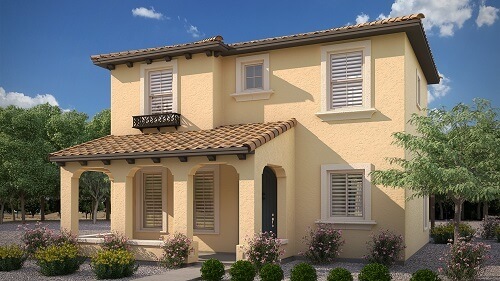 The gated community will have a controlled entry so that staff will know when residents come and go. “The 24-hour staff is in place for the extra level of safety, so we’ll know the residents’ schedules and we’ll have people walking the grounds to make sure everyone feels safe,” says Rex Matthews, community director for Luna Azul. 2. Permanence. The stability provided by homeownership and the ability to sell a home if desired provides financial security to the residents. “The cottages are all owned by the residents who hold title to them and therefore have the right to live there as long as they choose,” Roth says. 3. Inclusive environment. Perhaps the most important element of Luna Azul, Matthews says, is the planned social activities, where people with a variety of developmental disabilities, mental health issues, traumatic brain injuries or physical disabilities can live in a welcoming community. 4. Maximization of independence. The homeowner’s association will provide things like handyman services as well as grounds maintenance and community activities, but each resident can determine for themselves what other services they may need in their home. Residents can choose to attend dances or exercise classes or to participate in clubs, but they’re not mandatory. 5. Control over environment. Like other homeowners, the residents can choose to paint a room purple and decorate however they wish, Roth says. They can also decide to rent one or more bedrooms to housemates or bring in a pet. 6. Urban location. Luna Azul’s location in Phoenix allows residents access to jobs and to entertainment such as movies and museums, which Roth preferred over the isolation of a more rural area. 7. Affordability. The two- and three-bedroom cottage-style homes, priced from the mid-$300,000s to mid-$500,000s, represent a savings over long-term rentals, Roth says. Buyers can finance the homes with a 10 percent down payment through a Fannie Mae program. Monthly HOA fees are relatively high compared to other communities, at $550 per bedroom or $1,100 to $1,650 per house. The fees include 24-hour security as well as staff to provide social activities and other support services as determined by the HOA and residents. The 1,152- to 1,956-square-foot homes are designed with front porches and are situated close together to encourage socializing with neighbors. While the clubhouse is ADA-compliant, the houses are designed with low-threshold entrances to be visitable by people with mobility issues but don’t include ramps. 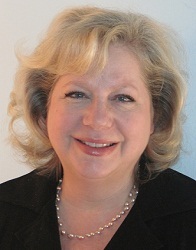 Buyers can customize the homes to meet their needs. Replication of Luna Azul in other areas is a possibility once the Phoenix community is established.